Totals updated on October 29. As of October 29, Measure D’s backers — primarily the National Business Aviation Association and the Aircraft Owners and Pilots Association — have contributed $933,299 to support the deception of Measure D. That money is mostly coming from outside of Santa Monica. 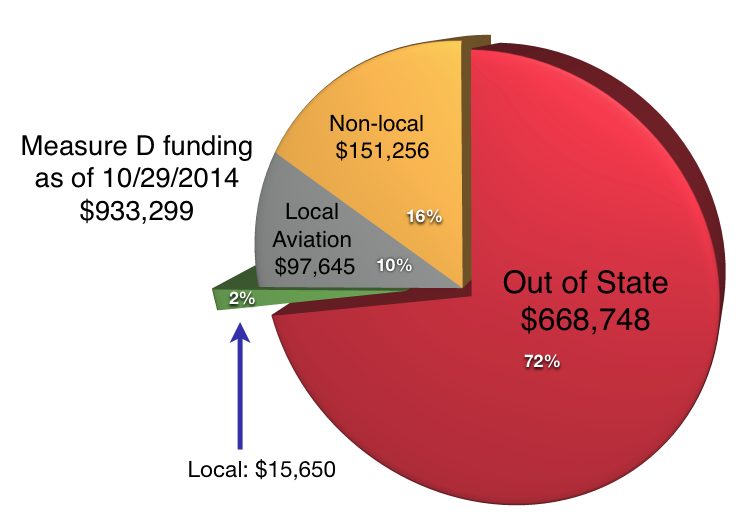 Only 2% of their funding is coming from local, non-aviation supporters. 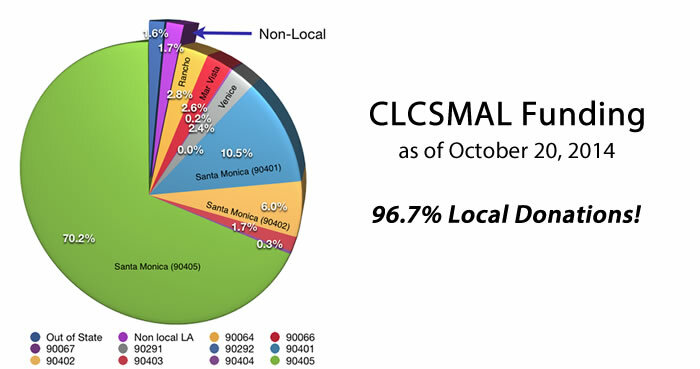 The average CLCSMAL donation is just over $200. The average Measure D donation is over $10,000. In other words: D’s average donation is larger than LC’s largest donation. D’s largest donations are far more than LC has raised in total, and they have several like that. This really is the 1% versus the rest; the many versus the money. To put these numbers in context, Measure D is 57% of ALL funding for the November Election — including all City Council candidates, all other PAC spending, and other ballot measures! 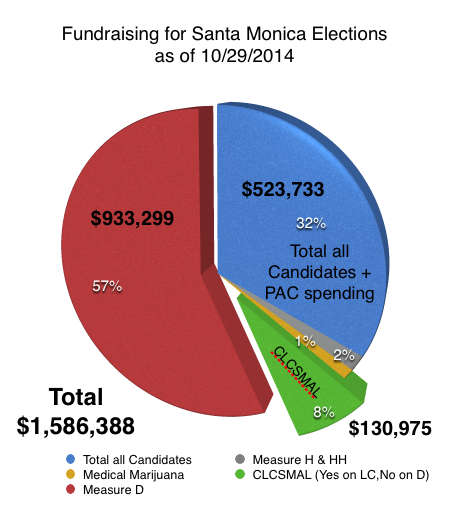 They believe that Santa Monica voters can be bought with nothing more than slick, deceptive mailers and lots of advertising. But we won’t be conned — Vote Yes on LC and No on D! For a line-by-line breakdown of the actual, operative text of the ballot measures please check out this infographic.